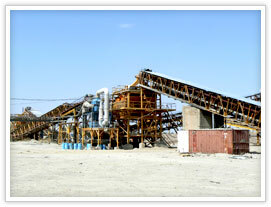 Gold mining is carried out to support a mill feed rate of 5.5Mtpa of high grade primary ore. Processing is carried out in a 5.5Mtpa gold processing plant that will include a primary jaw crusher, single stage SAG mill, gravity circuit, flotation circuit, regrind ball mill, concentrate CIL circuit and elution circuit. The whole gold mining project goes smoothly and with our products used, the whole plant’s efficiency can be adjusted smartly. We adhere to principle to provide quality products with excellent services for our Ghana customers.